Hamburg will host next year's G20 summit, which will take place from 7-8 July 2017. The German chancellor Angela Merkal said the city had been selected for its 'cosmopolitan environment'. Hamburg Messe has been chosen as the venue, which will welcome members from Argentina, Australia, Brazil, Canada, China, France, Germany, India, Indonesia, Italy, Japan, Republic of Korea, Mexico, Russia, Saudi Arabia, South Africa, Turkey, United Kingdom, United States and the European Union. "Hamburg connects people by tradition. We offer professional networks and a world class meeting infrastructure to ensure top standards of quality and safety," said Thorsten Kausch, managing director of the Hamburg Convention Bureau (HCB). Alongside the heads of state and governments from countries across the globe, the city will also accommodate participants from other international organisations as well as thousands of media representatives. 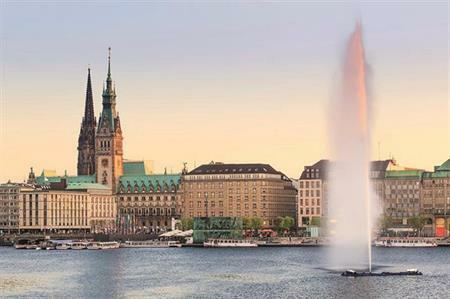 The congress and meeting industry is becoming an increasingly important source of revenue for the economy in Hamburg, with one-fifth of overnight stays in the city attributable to meetings, incentives, conventions and events.